Experience all the nostalgic entertainment of classic slots with this new take on an old favorite. Delight in the jewel tones and familiar imagery of Jumbo Jester, and remember the joy of what classic slot gaming can be! 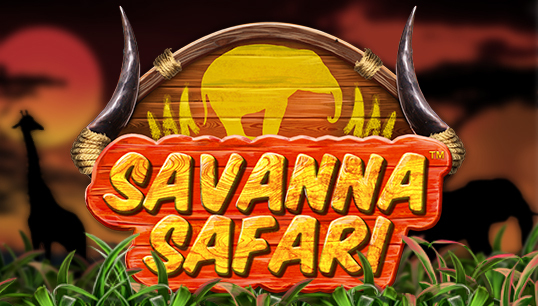 Journey to exotic lands for Savanna Safari! 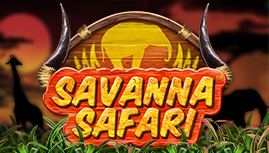 Find yourself in the bush tracking exciting creatures and hunting for your BIG PRIZE! The power of the sacred spirit tree is SCATTERED along the reels and it brings about great fortune and FREE SPINS! WILD masks help explorers find riches, while in Free Spins, the wilds MULTIPLY and grant trophy size rewards. Have the experience of a lifetime with Savana Safari! Spin the reels of this retro-futuristic slot classic. Let the neon glow light up your night as you spin for suits, gems and Super 7s! WILDS will finish any 7s combination and double it! Get the Suit Spinner icon and receive free spins with a suit bonus for extra winnings. Get 3 Gem Jamba symbols and enter the bonus round where you’ll spin 7 times on a special gem reel to win big! © 2016-2019 Nucleus Gaming. All Rights Reserved.